For additional quanities of color, select the "Enter Color#" in related products. Select a color chart from related products to view years, makes & models. 1) "Select Kit" > Aerosol Application or Brush-on Application. 2) Find the color number and name from the color charts. Example: For a Honda Accord '06 with Lt. Mild Beige interior color, click on the Acura/Honda color chart in the right column. Under the color chart, "Click Here for Larger Image" to view colors. 3) Enter the color # 7083 Lt. Mild Beige in the "Type in Color Number & Name from Color Charts" box. 4) Select Shipping Cost: Determine the time zone you are now living in. 5) Click the "Add to Cart"
PRODUCT DESCRIPTION: A lightfast specialty leather color coating. 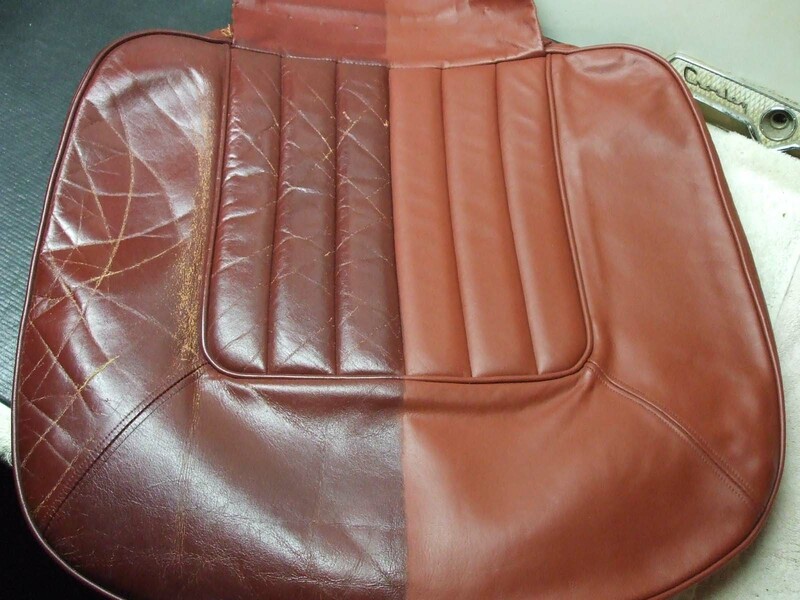 This unique water based urethane blend offers tough, durable, natural look and feel, flexible coatings for leather, vinyl, fabric, plastic and carpets.